This is a blood pressure diary to record your blood pressure and pulse. 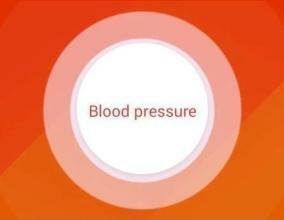 You can save, compare and analyze your blood pressure and pulse data from your diary. Create a personal profile and save your blood pressure and pulse data in your diary. Functionalities - Record your blood pressure and pulse history - Save your blood pressure and pulse data - Compare your blood pressure and pulse on different days, months, years and more - Analyze your blood pressure and pulse - Record as many blood pressure and pulse values as you want Disclaimer: Please note that this app does not measure your blood pressure and pulse and is just a diary of your blood pressure and pulse data which you obtained from a real blood pressure device.